It is in and through practices – deeds that embody shared intersubjective knowledge – that social life is organized, that subjectivities are constituted and that history unfolds. One can think of dozens of different practices (from balancing, to banking or networking) which constitute the social fabric of world politics. This book brings together leading scholars in fields from international law and humanitarianism to nuclear deterrence and the UN to provide effective new tools to understand a range of pressing issues of the era of globalization. 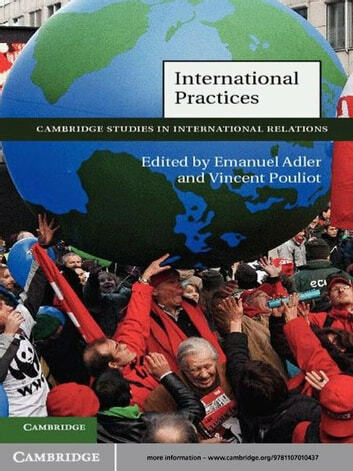 As an entry point to the study of world politics, the concept of practice accommodates a variety of perspectives in a coherent yet flexible fashion and opens the door to much needed interdisciplinary research in international relations. International Practices crystallizes the authors' past research on international practices into a common effort to turn the study of practice into a novel research program in international relations.